Unless you have been in outer space for the last 10 years, you will have increasingly heard of, if not partook in Airbnb and Uber, companies originating in The US but their services can now be found throughout the world. These companies allow people to let out their residences and use their vehicles as taxi’s at a very competitive rate. Airbnb and Uber are two of the companies that fall into the sharing economy sector. Recently the government in The Netherlands is working to better regulate the sharing economy and Minister Henk Kamp of Economic affairs is working with the other government departments to improve legislation so that the likes of Airbnb and Uber can continue to expand and work within the law. Currently Uber’s operations are actually illegal under the Taxi Act in the Netherlands as taxi owners are charging a fee to transport people without a taxi permit. Likewise it is unclear from the laws in the Netherlands whether it is actually legal to let out your private residence. Electricity is the new kid on the block to join the sharing economy in The Netherlands. Vandebron, a new start-up will allow people to buy energy from their neighbours (Independent suppliers who have wind farms). While this type of company is new, it has a huge advantage in that people will be able to get a better price for sustainable energy. Vandebron, Airbnb, Uber and many other sharing Economy companies will be watching with keen interest to see how laws will be updated to accommodate their expansion and profitability despite much protest from established traditional sectors of accommodation, transport and energy. 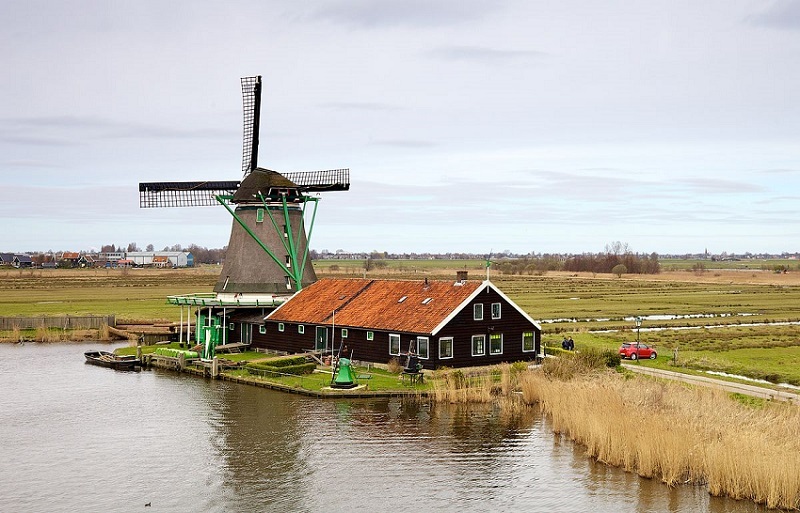 ShareNL is a dutch organization that promotes the sharing economy in the Netherlands and works with its members and organizations to connect people. If you are considering a startup in the area of the sharing economy or indeed in a more traditional company in the Netherlands, Healy Consultants Group PLC have been providing company registration, bank account opening and other services in the Netherlands for over 10 years. For further information, please send your enquiry to . Photo credit: De Zoeker LCD” by Murdockcrc – Own work. Licensed under CC BY 3.0 via Wikimedia Commons.